The apex Court of the country has reportedly come down heavily on the Modi Government for keeping the Lokpal Act in an indeterminate state for a considerable amount of time. Questioning the Government over its view on the selection panel comprising the Prime Minister, Speaker of Lok Sabha and Leader of Opposition in Lok Sabha, it said that such an important law cannot be kept in cold storage. It had asked the Centre to justify the Search Committee (Constitution, Terms and Conditions of appointment of members and manner of selection of Panel of names for appointment of Chairperson and Members of Lokpal) Rules, 2014 framed under the Lokpal and Lokayuktas Act, 2014. 4 weeks have been granted to the Government to come back with a satisfactory response on the question of amendment of the Lokpal Act to permit the participation of the leader of the largest party in opposition in the selection panel. The situation, as highlighted by the Supreme Court has become complex due to absence of any Leader of Opposition. Hence, the fairness of any selection without the Leader of Opposition is being debated. The Centre has claimed that it is undertaking substantial review of the Lokpal Act and Rules in order to deal with the overhaul of concerns. However, it hasn’t clarified whether it would allow the leader of the largest party in opposition to be part of the Lokpal selection panel. 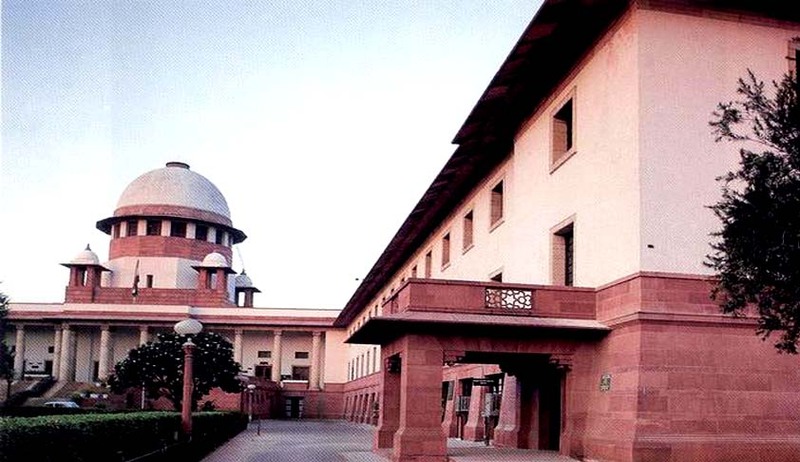 Highlighting the importance of the post, the Court agreed to interpret the LoP provision for the purpose of appointment of Lokpal in which LoP is a selection committee member. The Bench headed by Chief Justice of India, R.M. Lodha asserted that the LoP conveys the voice of a representative different from government in the House. It said LoP is a very important component (under Lokpal law) and the issue needs objective consideration in view of the current political situation where at present there is no leader of opposition in the Lok Sabha. The petition had also said that Rule 10 (1) provides that the search committee shall prepare a panel of persons to be considered by the selection committee for appointment of chairperson and members of the Lokpal, from among the list of persons provided by the central government. The Congress had claimed that as the single-largest opposition party, its floor leader in the Lok Sabha, Mallikarjun Kharge, should be recognized as Leader of the Opposition. But Speaker Sumitra Mahajan rejected it, citing rules that a party must have at least 55 members in the House to claim the post. The Congress has 44. The Court had been informed by the Centre on April 24 that it would not take any immediate decision on appointment of chairperson and members of the Lokpal. Condemning further delay in the issue, the matter was posted to September 9 for final disposal.